Mayawati is mercurial and a maverick. She is temperamental and volatile. The Congress has just realised how difficult it can be to get her as a partner. 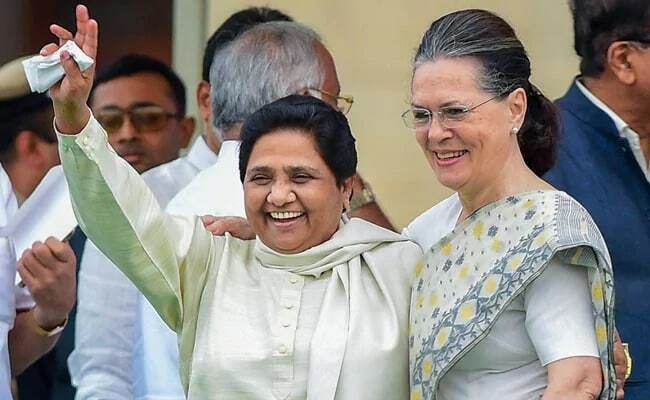 As it became apparent that an alliance between Mayawati and the Congress could be necessary, not just advisable, for the Congress to defeat the BJP in the coming elections in Madhya Pradesh and Rajasthan, she has created the sort of shock typical of her by ruling out an alliance with the Congress in both states. Mayawati was scathing in her attack. She called the Congress casteist and communal. She especially targeted Digvijaya Singh for stating that her diffidence in locking down a deal with the Congress is because the corruption cases against her are influencing her choices. But surprisingly, she avoided hitting out at Rahul and Sonia Gandhi. The Congress has reacted cautiously, hoping that Mayawati will be on a team that includes it for the general election next year. Till that happens, it is a serious setback to Rahul Gandhi's attempt to resurrect the Congress and unite the opposition under one umbrella against Modi. In Madhya Pradesh, Chhattisgarh and Rajasthan, the Congress and the BJP are pitted directly against each other. There is no third force. The BJP has been the ruling party in MP and Chhattisgarh for the last 15 years. In Rajasthan, it has been in the government for five years. The results in these states will definitely create the momentum for the big 2019 fight. Whichever party wins these states will have the edge. It is in this context that elections here are extremely important. In Chhattisgarh, Mayawati ditched the Congress a few weeks ago, choosing to work instead with Congress rebel Ajit Jogi. She is trying to give shape to a third front in the state. And if she replicates the same electoral model in Madhya Pradesh and Rajasthan, the Congress will find the landscape more complex than previously believed. There is no denying the fact that Mayawati is not a major force in any of these three states. She is a marginal player. In Chhattisgarh, the BSP managed to gather only 4.27% of the votes in the last state election in 2013. In Chhattisgarh, Mayawati ditched the Congress a few weeks ago, choosing to work instead with Congress rebel Ajit Jogi. These numbers might look very small but when studied along with the votes polled by the Congress and the BJP, her score assumes importance. The BJP formed the government with a comfortable majority but the difference of votes between the two parties was meagre - the Congress had 40.29% as runner up whereas the BJP had 41.04%. The gap was less than 1%. And if the BSP's votes are added to the Congress tally, it pulls ahead. So she has the ability to decide who forms the government. In Madhya Pradesh, the Congress has been bragging that it is well-placed. It recently won two important by-elections, defeating the BJP. The BSP did not field its candidates here. Both the seats belonged to the Congress and it was expected that with the BSP not cutting into its votes, the Congress would get a huge margin. In fact, in both seats, its victory was smaller than the last time around. In the last state election, the BSP got 6.42% votes and four seats though it contested a total of 227. The difference of vote percentage between the BJP and the Congress was only 8.4%. The Congress had then won 58 seats in comparison to the BJP's 165 seats. The assumption was that had the Congress and the BSP come together, they could have managed to win another 41. The BJP would still have formed the government but with a reduced strength. In the last five years, the credibility of the Shivraj Singh government has taken a heavy beating. The Vyapam corruption scam has been a big loss of face personally for the Chief Ministerand the agrarian crisis has dented his image. Farmers are on the warpath. In Mandsaur, six farmers were killed in police firing in 2017 which triggered nationwide protests. So the BSP and Congress together could have been a formidable opponent for the BJP but that has ended today. In Rajasthan, Vasundhara Raje is believed to have squandered her term as Chief Minister and the perception is that the Congress could win the state easily. In recent by-elections, the Congress took two key seats- Alwar and Ajmer - from the BJP with big margins. Riding on the massive Modi Wave in 2013, the BJP won 162 seats with 46% votes. The Congress was way behind with only 34% votes. The BSP vote share was only 3.44%. It should not be forgotten that in 2008,the same BSP had 7.6% votes. With the BJP at a disadvantage, the Congress, backed by Mayawati, could have looked forward to strong prospects. No longer. Elections have still not been announced and everything is still not lost for the Congress. Mayawati has given clear hints that she is unhappy with the local leaders of the Congress but in not speaking ill of the Gandhis, she demonstrated that she doesn't want to burn her bridges for 2019 just yet. As for Rahul Gandhi, he made the same mistake in Karnataka, relying on the counsel of over-confident local leadership. Rahul let Siddaramaiah call the shots and he let Mayawati slip away to forge an alliance with the Janata Dal (S).Eventually, the Congress had to be part of the same government with the JDS as the main player. If Rahul Gandhi is still not learning his lessons, then the fault is only his. And he's running out of both time and opportunities.